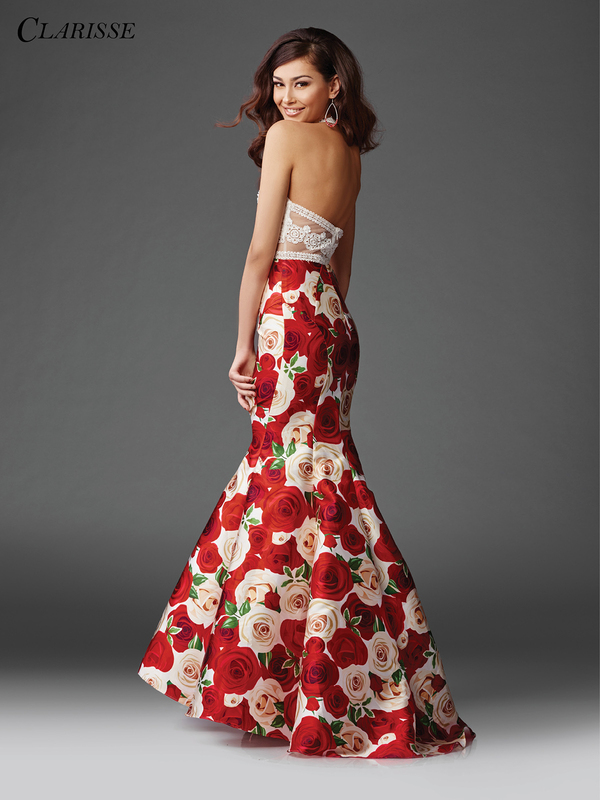 Capture the spotlight in rose print prom dress 3423 by Clarisse! This festive and feminine gown has a contrasting white lace crochet top with a halter neck, open back and flirty sheet midriff. The princess seam mermaid skirt is made of playful rose print mikado in shades of red, cream and green. Perfect for a stand out prom look, or even as a dress for a winter ball! Available in sizes 0 through 16.